Simple birthday parties with a homemade cake, ice cream and a few friends is a thing of the past for today’s trendy kids. What’s hot for birthday parties is action and interaction. Parents are planning, and kids are asking for, birthday parties that are creative, hands-on, and to some degree, challenging. 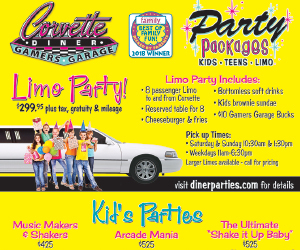 So when planning your next birthday party, consider these options. This is a big hit for tween and early teen girls. This birthday party centers around a local beauty parlor or spa. Simply call ahead, get pricing and reserve the spa or parlor for a block of time. The girls have a fantastic time getting facials, manicures and pedicures. Then treat them to a special lunch somewhere, including cake and ice cream. Can’t afford a spa? Consider doing a makeover party at home. Consider inviting a make-up professional over to help the girls with make-up while mom and friends give facials and manicure. Getting outdoors is another great way to get in the groove with today’s kids. Canoeing trips, a day spent at the baseball stadium or rock climbing are all great options for birthday parties. You will find many local companies that arrange special trips just for kids and cater to birthday parties. Rock climbing walls can be found indoors, often with an arcade inside as well. Reserve the climbing wall along with the meeting room and you have the makings of an action-packed day for the gang. Ice skating rinks, bowling alleys and rollerskating rinks can also be reserved for parties and provide exercise as well as entertainment. Many offer an area to set up the party as well or will give discount prices on food when you rent the arena. Get creative! A craft party can be arranged through a local art studio, building workshop or paint-your-own-pottery studio. Booking your party is a great way for kids to be messy and you don’t have to clean up the mess! They usually offer a variety of crafts to choose from with a per child fee. Let your child’s creative side run free with this type of birthday party. Museums are another excellent choice for hosting a birthday party. Children’s museums, science museums and local historical places offer everything from reduced admission for groups to special after-hour private tours as birthday party packages. Many parents are more health conscious and it’s showing, even in their choice of activities for kids. Yoga birthday parties have kids stretching, learning the Warrior Stance and meditating. It’s a great way for moms and kids to blend together. Everyone knows clowns are a hit with younger kids and you can still hire them to be at your child’s party. But you can also have someone come into your home and provide a complete fairytale for your birthday boy or girl. Magicians are still a big hit, too. Modern magicians pull out all the stops for entertaining kids. Many supply goody bags for the kids to take home that have magic tricks they can do at home. Host a dance party. Hire a DJ, rent a local community center party room and hang some disco lights. With the ease of Pandora or Spotify, a family member or friend can even be the DJ. Why not go back in time and host a ’50s party? Have the girls wear poodle skirts and bobby socks. The guys can come in rolled-up blue jeans and white T-shirts. Today’s parents use birthday parties as a time to get together and visit with other busy moms and dads. Why not make your child’s birthday party a family affair this year and invite everyone in the family? Let your child’s interest guide you when planning his birthday party and you can’t go wrong. Whether he is into Star Wars, the Avengers or sports, there will be an abundance of options to help make his next birthday unforgettable. Belinda J. Mooney is a freelance writer.